Finally, some much needed rain! 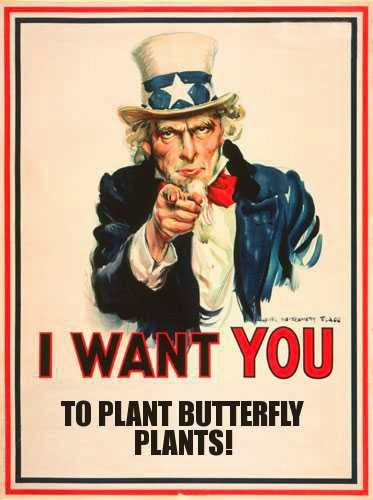 As you already know if you've been following this blog, over time, I've been online ordering a various assortment of seeds and small plants that aren't typically found at our local average nursery stores and are rated as good butterfly enticers. One excellent online source for an extensive offering of not so common butterfly-specific plants is Annie's Annuals and Perennials, located in the Frisco bay area. She has a category list called Butterflies, in which I've already purchased a few in anticipation for a springtime planting. Passiflora loefgrenii "Garlic Passion Fruit"
I'm curious to see how attractive they will be to butterflies in my neck of the woods. From all of the googling I've done on these particular plants, they should prove to be effective and handsome additions to a butterfly garden. One thing that severely limited the plant palette up at the Alta Laguna Park Butterfly Garden was the fact the park (and the whole neighborhood for that matter) is overrun with legendary legions of rapacious rabbits and marauding masses of despoiling deer. With easy access these creatures have of the park and butterfly garden, only a handful of known bunny and deer resistant plants could survive the incessant browsing and munching accompanying these furry, darling, tender, and sweet creatures upon the landscape (he wrote whilst firmly biting down on tongue). We do have some bunnies in my part of the 'hood, but since I'm using containers, they will have a next to impossible time getting to the plantings. HA! Take that my little darlings!! !